What will next years most popular colours be? - Who decides this & why? There is certainly an awful lot of evidence out there that demonstrates just how significant colour is in our everyday lives. Colour permeates every single thing that we do from the clothes we wear to the food that we eat and it even affects the mood that we're in. So can a colours future significance be predicted when other far smaller things simply can't be? In this article I will discuss what the colour predictions are for next years trending colours but more importantly than that ( so no matter what the year is that you're reading this in) how are those predictions made and are they even predictions at all? I take a hard look at the colossal industry behind colour prediction and how it shapes the world we live in. Okay so let's get the reason you came here out of the way first. Next years New York fashion week spring 2018 colours will be as follows. "The Spring 2018 palette encourages a sense of fun and playful release. With an air of complexity and distinctiveness, we find ourselves in a sanctuary of color that is ideal for some more unique and dramatic color mixing." And just incase you really hate colour then don't worry the 'Colour Institute' has you covered as they've also predicted that you'll love these additional four 'Classic' colours as well. "For many consumers, classic color is the mainstay of the wardrobe and the foundational core upon which they start building their own personal style. The core classic shades play a critical role in any wardrobe, and we wanted to highlight the nuance of these classic colors for the spring 2018 season." It would seem that choosing blue (the most universally loved colour by humans) and white is a fairly safe bet to me but either way the Colour Institute has spoken on whats going to be big in 2018.
Who are these 'Colour Institute' people? The colour institute is actually the guys and girls over at Pantone and Pantone is possibly the most well known colour manufacturer in the world. I know that statement might sound strange but Pantone as a company is literally responsible for creating and standardising colour across many mediums on a global scale. They are quite literally responsible for standardising colour. Pantone started out in the 1950's in New York as a printing house. In 1956 the founders Mervin and Jesse Levine hired a part time employee by the name of Lawrence Herbert. Herbert, with his chemistry knowledge went on to standardise and simplify the printers inks. In '62 Herbert was running the ink and division part of the plant at a profit while the Levine brothers struggled to see growth in their commercial display side. Herbert decided to buy the brothers out and rename his new venture 'Pantone'. Here is where the real genius of Pantone came to life. Any entrepreneur will tell you that the key to success is to standardise your market. The person who does this first nearly always comes out on top as everybody else has to follow behind from then on. Shortly after his accusation, Herbert went on to release his companies primary product, his 'Pantone Guide'. To you and I we now know this as simply just a swatch book of colours. The idea behind them was to enable designers to 'colour match' specific colours throughout the entire design process from start to finish wherever they were in the world. It sounds simple now but think about how industry was being globalised and manufacturing was migrating overseas, you literally had multiple parties involved across multiple mediums across multiple countries so there were so many chances for a colour to drift and change during the production process. The Pantone Guides helped companies unify these colours across an entire brand from initial design to final product. 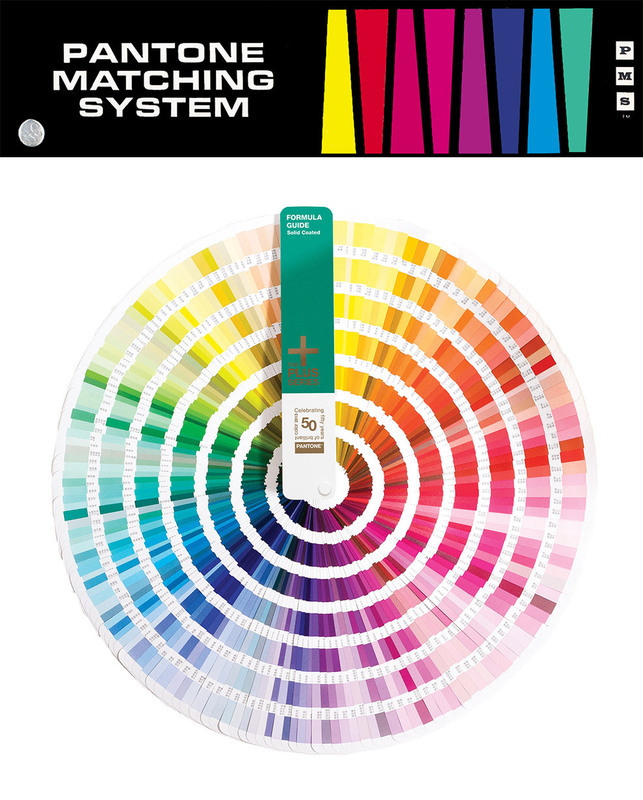 This Pantone guide grew and grew and over time became known as the Pantone Matching System (PMS). Pantone was eager to point out that it was strongly recommend to purchase one of these expensive PMS guides annually due to the inevitable colour fading that may occur over time. That Herbert fellow was no fool when it came to running a successful business. I'm sure that annual 'design flaw' which resulted in people having to purchase a PMS once a year was morally very troubling for him. That being said, a universal colour matcher must be just that, it must be exactly the same across every single one throughout the globe. So if there was a faded yellow version that was a few years old, that could potentially cause major problems if not replaced. As I mentioned before the beauty of Pantone was its standardisation but Pantone was more than that. The Pantone system has 1,114 spot colours in its guide and they're made with the Pantone 13 base pigments (14 including black). The staggering trick here was that Herbert saw the shortcomings of CMYK early on, even before it became popular. Most printers will use CMYK in their printing process but they all rely on one thing, the fact that their colours can only be mixed and made on a white surface. Change the colour of the page even slightly and all the resulting colours will be off. With the Pantone system you were able to produce nearly any colour on any surface which opened up the world of specialised colours like metallics and fluorescents too and again because it was on the PMS standardised scale, industries across the world could manufacture products to exacting colours without deviation. In fact its standardisation has become so prolific that even nations flags are given a specific Pantone colour which is referred to by a number on the Pantone Matching Scale. I think it's fair to say that with this level of standardisation across the globe and with so many colours that Pantone is certainly one of the biggest dictators of colour today and possibly ever. So now that we've established that Pantone is the dictator of colour, how do they affect our world and our industries? Imagine you're the boss of a washing machine company or a car company or fashion label or makeup brand, in fact nearly any major global brand for that matter. Now imagine you have a new line of products coming out in two to four years time. You're going to start to invest an awful lot of money in developing and producing those products and because of this investment you want to make sure that your new product is extremely successful upon release. As a smart boss of your company you also know that the success of your new line of products is dependant on you not only releasing a quality product, but a quality product that also looks great too. But how do you know what will look great in the market place two to four years in the future? Welcome to the world of Pantone Partners and the Pantone Color Institute. You see if you're that big company with potentially millions of dollars on the line for a new product launch, you don't want people to not like it because they don't love the colour you've made it. So to reduce the chance of your product releasing in the wrong colour your company becomes a Pantone Partner. As Pantone Partner you pay a lot of money to get the insider knowledge on what colours will be big in the next couple of years. That way, when your product is finally released, people love the colour you've made it and they're happy to buy it. Sounds fairly simple right? Well now imagine all industries doing a similar thing and you start to see how you can 'predict' next years colour. After all, the Pantone Color Institute has told their Pantone parters to make their products a certain colour for next year and guess what? When companies all release a certain colour product, it is hardly surprising that we as the public end up buying that colour product. What choice did we really have? The Pantone Institute ensures enables industries to all get it right when choosing next years trendy colour. As long as that industry sticks together they can all benefit from being right. I have to be honest, I find this whole process incredibly fascinating and a simply ingenious business strategy from Pantone. But more importantly it appears to be one that seemingly benefits everybody involved with it (granted there's a tenuous definition of 'benefit' here when talking about capitalism but bear with me). The side of Pantone that deals with this 'Colour Trending' and informing it's Pantone Partners is called the 'Pantone Colour Institute' and it's those guys who dictate what the next big colour will be. Let me just explain in a little more detail of how the process works. The whole Pantone Partner system can only work if a specific industry essentially agrees to make Pantone its colour dictator. Let's take the fashion industry as an easy example. To keep it simplified let's just say that 10 core fashion labels all agree to be Pantone Partners. They all pay Pantone a ludicrous amount of money for the future colour predictions but they do this because they don't want to be the odd one out when it comes to next years fashion trends. If all 10 fashion labels sign up and Pantone tells them that red will be the hot new and trendy colour next year, all 10 labels will go away and bring out their fashion lines in red and guess what, the public loves it and buys them. Now let's imagine one of those labels didn't sign up to the Pantone program and they brought out a line of clothes in blue that year not red. You now have a market that has 9 lines of red and 1 blue, by very definition you and your blue fashion line of clothes is simply not fashionable. I am evidently simplifying it here but the point is clear, make somebody a dictator of your industry as a whole and then all agree to follow what they say. As long as you do, we can all benefit from it together but it can only work if you all agree to follow it in the first place and that in my opinion is the real genus of Pantone. In 2013 the Pantone Colour Institute had predicted emerald green to be that years big colour. They had probably never been so right either as the colour was everywhere. Image from InStyle Magazine in April 2013. The job of the Color Institute is obviously to predict what colours will be trending in the coming years, but how do they 'predict' what will be next years hot new colour? Well, here's where it gets a little tricky. PCI can only maintain a successful business model, and industries will only continue to pay them each year for their info, if their predictions are correct. There's no point in paying Pantone for the prediction that hot-pink will be trendy next year, going away and making a bunch of stuff in hot-pink only for sunflower-yellow to be a hit instead. Back in 2013 the Pantone Color Institute predicted emerald green to be the next big thing. It was possibly their most successful prediction of all time as the marketplace was swamped with the specific colour. From fashion to makeup to shoes and accessories, everybody and anybody couldn't get enough of the emerald green colour. In a 2013 Business Insider interviews Pantone Vice President of Consumer Licensing Lisa Herbert (I assume a relative of Pantone founder Lawrence Herbert) and they go into a little detail on the process and how the new colour gets chosen. Lisa Herbert explains that the executive director of the Pantone Color Institute is Leatrice Eiseman and as head of the decision making on colour for the last 13 years her opinion is by far away the key to a successful prediction. Eiseman then goes onto explain how she came about the emerald greens colour prediction. "It's hard to explain to anyone how you really arrive at the specific color," Eiseman explains. "But it's picking up nuggets of information wherever you travel — and I travel all over the world. If I see that a color is coming into prominence (for instance, if I'm in Asia and I see the same color in Italy and Germany), then I would say that color is on the rise and starts to have a collective impulse." Obviously Eiseman and her team do more than travel about the world with a book of colour swatches but essentially it has to come down to a prediction that is based on a public perception at the time too. She goes on to elaborate. "We knew that greens have been big in the last few years, and people are still very much attracted to green and the message that it gives: the whole idea of being connected to the environment, unity, elegance, rejuvenation, and clarity. The color green stands for all of these things, and is universally appealing." On the left you can see Pantone's colour of the year prediction for 2016. On the right you can see one of their partner companies Sephora releasing their new range of makeup. So is it as simple as that? Can you really just guess the colour that will be popular in years to come? Well although this is a good starting point, Pantone has to ensure that this prediction turns into a reality and so the drip feed of suggestive marketing begins. Remember, like I mentioned before, if everybody signs up to release green next year, guess what? Green is a popular colour because it's everywhere whether you like it or not. In fact early on in the interview VP Lisa Herbert goes onto cement this knowledge by saying. "It becomes a self-fulfilling prophesy because people are going into the stores asking for it [emerald green]," Herbert said. "[Retailers] have to have it, even if they have to scramble to do it." So you see if you were one of the companies who didn't sign up for the early info on next years colour green, you're left scrambling to get green dresses in your line but by then, it's simply too late. "We deliver the news in a sealed envelope, and we have our representatives go out to [partner companies] in their trench coats with their suitcases," Lisa Herbert, Pantone's Vice President of Consumer Licensing, explained over the phone. "They have to sign a confidentiality agreement and the color cannot be revealed until we say so." Above we can see a list of the colours that the Pantone Colour Institute have predicted. As time goes on I'm sure we'll see an inevitable pattern begin to emerge but even now you can see that it's the cleaner more muted tones that take the stage. It's big business to them and those partner companies pay a lot of money for that information. This is not quite the same but I knew a fashion house intern nearly 20 years ago and she said that her companies fashion 'Trend Bible' cost them £8,000. This is essentially a huge book (pre-internet remember) of data showcasing all the latest predictions on fashion including fabrics, accessories, cuts and so on, that they used to make their new fashion line. I personally think that this type of information is worth an awful lot more now that the world has shrunk thanks to the internet and all of these companies now have an international audience. Whatever the cost of this information, it's clearly worth it to these companies because without it, you're alone in the market place and that's never smart. Pantone as a brand has to assert their dominance as the global director of colour. They invented the language now they have to ensure that they are known for being the voice of colour predictions. One way to do that is to make colour cool and using everyday objects their vehicle to deliver that message. Clocks, chairs, even toothbrushes and baubles, all of it is a reminder that they are the powerhouse of colour. (I do actually really want that clock). For Pantone, their business model is not only predicting the next big colour but also ensuring that prediction comes true. Pantone has done a fascinating job of building the language of colour. They standardised colour in the 60's with their swatches and now they have a company that is globally known for that language. They are so well known in fact that they even have mugs, t-shirts and toys dedicated to their brand awareness to ensure that when they say a colour is going to be cool next year, we listen. The Jake Hicks Photography Colour Prediction Master! Click to Enlarge Take a look at the above diagram to see just how close I was two years ago to predicting what colours would be cool in 2018. Pantone's Colour Institute released 12 colours and my Pastels Colour Gel Pack has 8 out of 9 of the potential colours. JHP: Trendsetter extraordinaire at your service people! Hahahaha, I nearly fell off my chair when I lined up the 2018 colour predictions against my Pastel Gel Pack colours, they are nearly all identical. Sure, the browns and whites aren't there but seeing as you can't have brown or white gels I was hardly likely to have those. The only single outlier was the chilli-red but otherwise the remaining 8 are all there.